The Castlewood Economic Development Board has been vital to bringing businesses, infrastructure and recreation to the city of Castlewood. The industrial park offers ready to build sites with financing available from the corporation and other sources. Located only minutes from I-29 and close proximity to Watertown, Castlewood offers the ideal atmosphere for your business. Contact the board members below for more information. A grant of $5000 is available for individuals starting a new business in Castlewood. The grant will be awarded upon opening of the business which includes hook-up to city utilities. 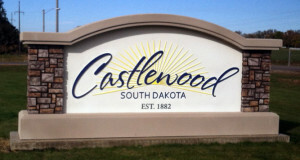 There is a limit of $5,000 to be reimbursed to any one applicant by the City of Castlewood. This grant application requires approval by the City Council. Is Your Business Expanding or Relocating?? Over 5 acres available for new businesses / buildings with utilities. The goal of the Castlewood Economic Development Board is to benefit and promote the community of Castlewood. Grants for historical preservation projects in the business district are available through the Gaylord Hoftiezer estate. For more information visit the Castlewood Historical Society page. Contact any of these board members to get your business in Castlewood or email cwdevelopment@hotmail.com. 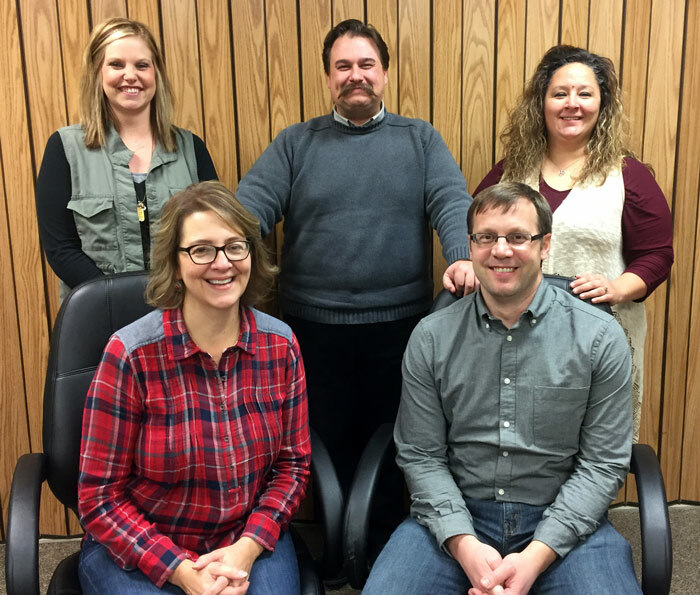 Pictured from the left are Breanna Beebe, Ruth Fodness, Adam Rudebusch, Landon Vetter and Alisha Nielsen – secretary.